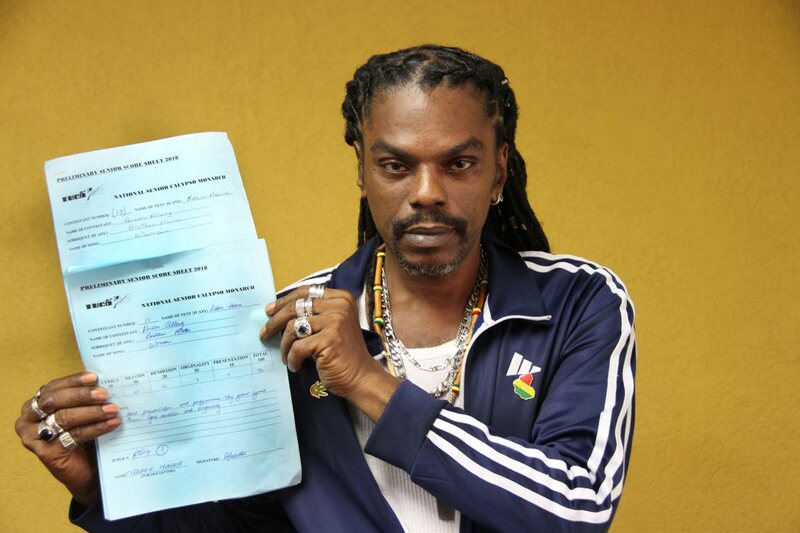 AH VEX: Calypsonian Bro Musa displays his score sheets which he admitted to snatching from the TUCO office and running away. PHOTO BY SUREASH CHOLAI. Calypsonian Bro Musa (Anson Alleng) yesterday sauntered into the office of the Trinibago Unified Calypsonians’ Organisation (TUCO) on Jerningham Avenue in Belmont, and when the time was right, much like the dish that ran away with the spoon, Musa made a dash for the door and ran away with his score sheets. And indeed Bro Musa was dressed for the occasion as he turned up in Newsday in track suit and running shoes. Musa griped he has a beef with TUCO regarding everything about Carnival and the culture. Bro Musa, who sang in position 17, attained scores ranging between 86 and 62 from the nine judges. He accused TUCO of victimising him over the years because he always takes his grouses to the media. Reply to "Kaisonian runs away with scores sheets"